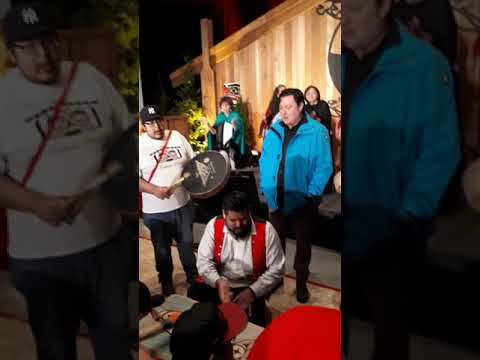 The province has allocated $6.45 million in new core funding for B.C.’s 25 Aboriginal Friendship Centres over the next three years. The funding was announced on April 6 by Indigenous Relations and Reconciliation Minister Scott Fraser, as part of Budget 2018. “For the first time ever, Friendship Centres will have stable funding, thanks to this investment that is more than tripling previous financial support,” Fraser said in a Ministry news release. As part of the three-year package, the BC Association of Aboriginal Friendship Centres will receive an additional $100,000 each year. “It has been such a long time coming,” the minister told Ha-Shilth-Sa (April 7) Saturday. Fraser noted that he served as Opposition Critic for Aboriginal Affairs for 12 years before becoming Minister. Fraser explained that the Finance Committee, which is actually bi-partisan, goes out every year to determine where the money should be spent. Friendship Centres have historically received core funding from Ottawa, but that source was choked back last year, according to Courtenay-Alberni MP Gord Johns. In a Sept. 17 letter to Canada’s Indigenous Relations and Northern Affairs Minister Jane Philpott, Johns said delays in remitting core funding were causing staff layoffs and service cuts at the Port Alberni Friendship Center. “In the 2016-17 fiscal year, this centre received approximately $185,000 in federal funding, but this year there has been a significant delay in the delivery of these annual funds. We are now entering the sixth month of the 2017-18 fiscal year, yet only $45,000 in ‘bridge’ funding has been received,” the MP wrote. Fraser said he has kept an eye on the shift in Ottawa’s funding formula, and it has impacted Friendship Centres across the entire country. “But the feds are a whole separate issue. I was pushing for this regardless of what the feds did,” he said. Fraser said that, over the years, the province has parceled out money in drips and drabs through the First Citizens fund. “It was hit and miss, and it was no way to guarantee [funding] every year,” he said. NTC President Judith Sayers said the new core funding from the province is good news. According to BCAAFC statistics, 50 per cent of B.C. First Nations live off-reserve, and 78 per cent of these Indigenous people access services through urban Friendship Centres. Fraser said Friendship Centres are particularly important for Indigenous youth who live in urban centres. Sayers said while the new provincial funding for Friendship Centres is welcome, it overshadows an existing, systemic problem. “The problem with First Nations funding is that there are conditions on the services that we can provide on-reserve,” she explained. That makes the role of Friendship Centres more critical, providing services to people who may have been forced off-reserve due to lack of those same services. In the April 6 ministry media release, BCAAFC president Annette Morgan welcomed the announcement. “We are extremely pleased that the Province has recognized our role in these communities and is providing this resourcing, so we can continue this important work and ensure the sustainability of the Friendship Centre movement for years to come,” Morgan wrote. The Friendship Centre funding followed another announcement, also issued April 6, of an additional $50 million in funding for Aboriginal language programs across the province. Sayers said she also welcomed the new funding for language revitalization, but once again, the funding formula is vexing. The money must flow through the First Nations People’s Cultural Council. That added bureaucracy increases costs for nations already dealing with a blizzard of federal and provincial paperwork, she said.